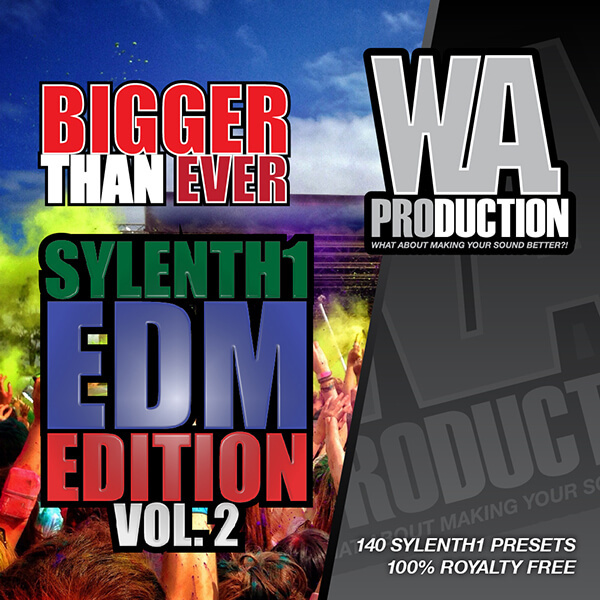 ‘Bigger Than Ever: Sylenth1 EDM Edition Vol 2’ from W.A. Production continues this amazing series and brings you the biggest, fattest EDM sounds that Sylenth1 has to offer. This amazing soundset contains 140 top-notch sounds is inspired by artists such as Ummet Ozcan, Hardwell, Afrojack, Deorro, DVBBS, Martin Garrix and many more. ‘Bigger Than Ever: Sylenth1 EDM Edition’ can be used mainly in genres such as Electro, Progressive, Trap, Melbourne, Deep and Tech House and is divided into two banks to give you an overview of the patches on offer. This product contains only the most amazing sounds including acid basses and leads, catchy plucks, deep pads, majestic superplucks and a whole bunch of other presets designed to bring a unique and massive feeling to your mixes. Each sound has been crafted with precise attention to detail to allow your breaks and drops sound more sharper and powerful. Sylenth1 version 2.2.1 (or higher) is required for this soundset.